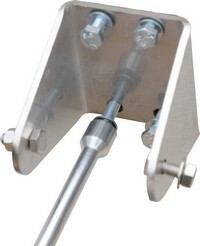 This 3 adjustable poles kit guarantees a resistant and design installation. 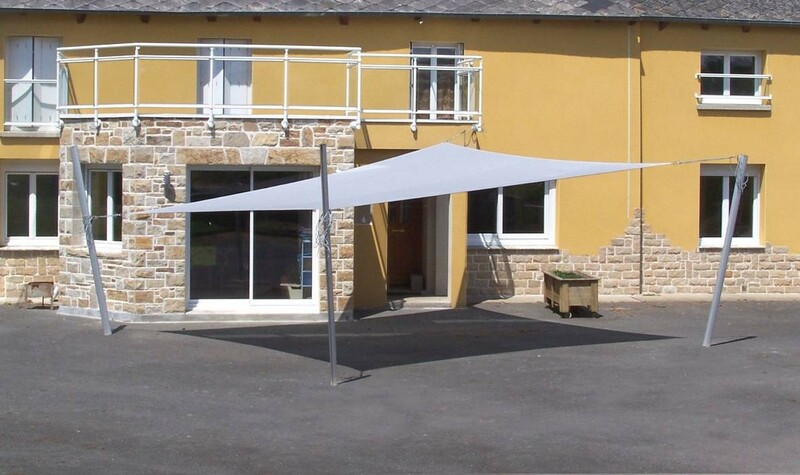 With this 3 poles you can install a shade sail wherever you want. 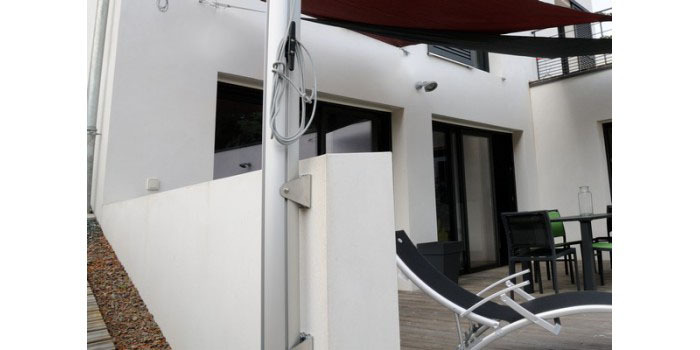 On the practical side, it is removable : remove it easily in winter and slip it into its base in the spring ! Pole material : 3mm thick anodic oxidation treated 25 microns aluminum (resists to saline environments). Weight : 14 to 20 kg depending on the base. Tension system : The “reinforced” tension system (for Australe 340 and Acryl 300) contains 2 double pulleys versus 2 simple pulleys for the “standard” version. The double pulleys can host an additional rope loop between the sail and pole: this facilitates the tension of the sail and renders the installation more resistant. 2 versions: vertical or inclined. The tube exists in 1,20m version or 2,60m version: it will bring additional solidity along the entire pole length, it is recommended for installations with multiple sails and/or wind exposure. To support a pole against a wall (3 baseplates per pole). 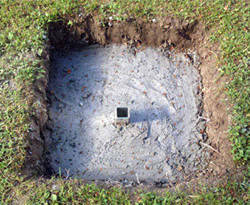 Create a 60cm deep and 40cm wide concrete slab into which the sheath will be sealed. The bigger the slab, the more stable the pole. Insert the 1m20 (or 2m70 for the reinforced version) steel tube in the sheath. Finally, slide the pole on the tube. 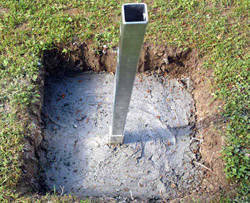 Tip : opt for fast drying concrete for an easier installation. Plan 4 bolts and 4 shredded shanks of 12 mm diameter and 200 mm length in order to fix the base. Drill with a concrete drill bit to 14 and a chemical sealing. Slide the pole on the tube. Plan 12 bolts and 12 shredded shanks of 8mm diameter and 100mm length in order to secure the 2 baseplates (4 anchor points per baseplate). Ensure a minimum space of 70cm between the 2 farthest baseplates. Beau profilé mais pas mal de bavures de coupe...je suis un peu maniaque mais j'ai travaillé pour l'aéronautique?!! Très bon produit, résistant, design et adapté aux vents. Par contre, la peinture se raye lorsque le tube est introduit dans les support de fixation. DOmmage.